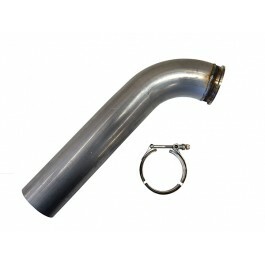 This downpipe starter section is a direct replacement for the fixed cast iron elbow on the 12 Valve turbo charger. If you have a 24 Valve engine please see SKU #1695 which includes the 3" flange connector. This allows you to "aim" your exhaust downpipe. The factory cast iron elbow points directly at the engine block when using a conversion friendly exhaust manifold. 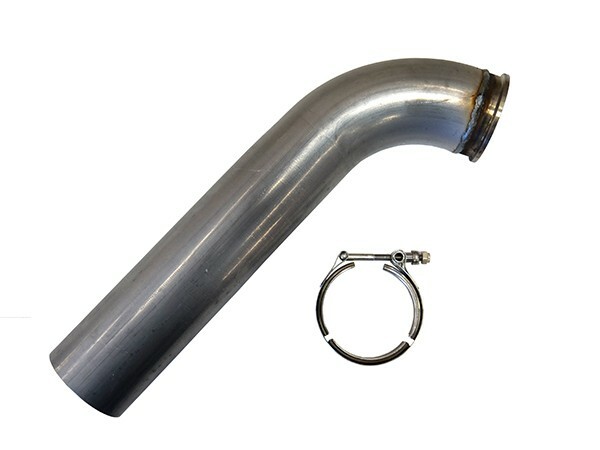 Also used on for GMC / Chevy that utilize the factory exhaust manifold.